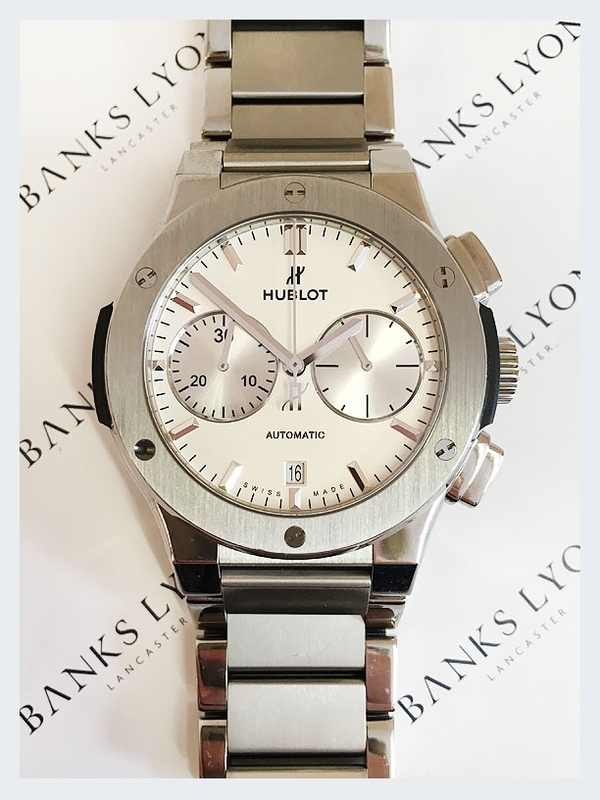 Included with original Hublot presentation box and papers and supported by our fully comprehensive 12 month Warranty. 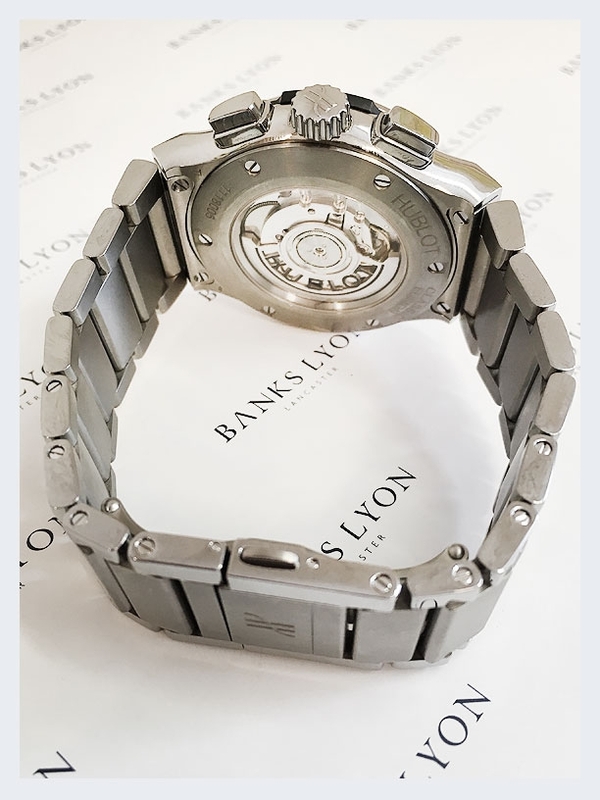 Banks Lyon Jewellers are an official stockist of Hublot watches, ensuring that you have 100% guarantee of authenticity when purchasing from us, as well as the option of buying your pre owned timepiece on 12.9% finance whilst paying monthly over a time period of up to 4 years. 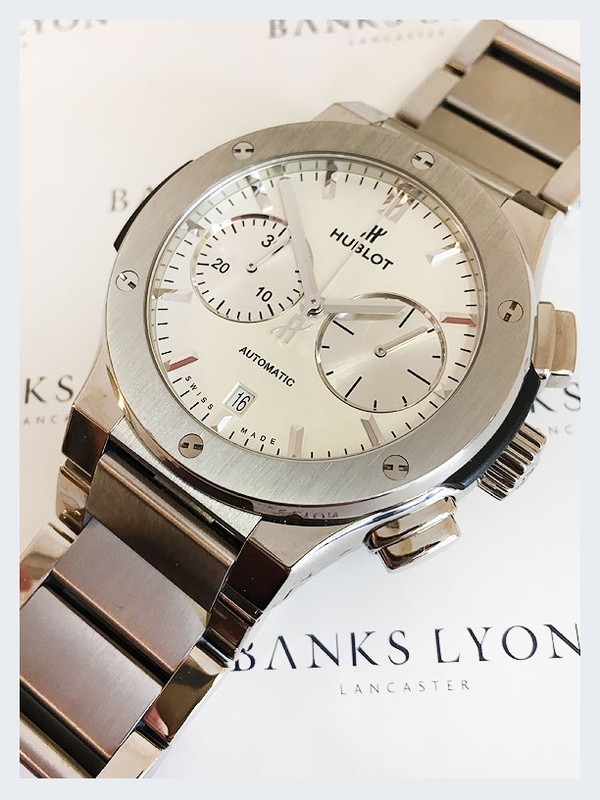 If you would like to find out more information on the availability and prices of our pre owned watch collections, please call us on 01524 38 10 20 or email personalshopper@bankslyon.co.uk and one of our team will contact you.